I have recently been researching Irish-born men and women who served in North American forces during the Second World War. A little over a year ago, while working on files relating to servicemen who lost their lives in Canadian forces, I noted similarities in a number of the documents that suggested some of the men may be related. Exploring further, a heart-breaking story began to reveal itself– a story of one Cork family’s unimaginable loss. Their experience must surely represent one of the worst, if not the worst, loss of life suffered in a single southern Irish family due to Allied combat operations. For Remembrance weekend, I am sharing that story here for the first time. 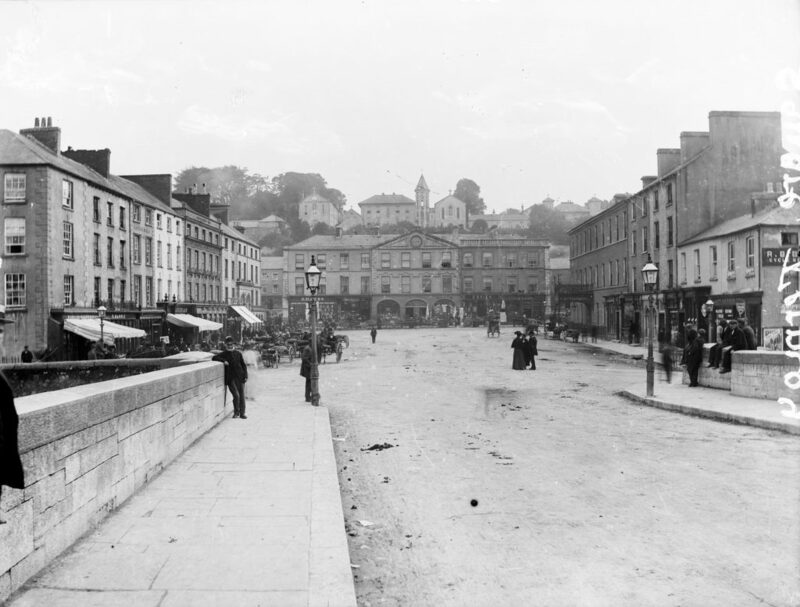 For early 20th century residents of Fermoy in Co. Cork, the Sheehan’s shop must have been a familiar sight, occupying as it did a prime location in the town, on Queen’s Square (now Pearse Square). It’s proprietor was James Joseph Sheehan, a baker and confectioner, who lived there with his family. The Corkman had married his wife Mary Ellen Hearne in her native Co. Carlow around 1905, and they quickly set about building a family. By the time of the 1911 Census they had four children, and were doing well; among their household were three servants– a Confectioner’s Apprentice, a domestic and a nurse. Ultimately the couple went on to have eight children– seven boys and a girl. By the middle 1920s, James and Mary Ellen felt that the future of their family lay abroad. The destination they chose was Canada, specifically Vancouver in British Columbia. On 31st July 1925 James boarded the SS Melita at Cobh along with his eldest son, 20-year-old James Jr. (recorded as Sheamus). They spent the next few months getting everything ready for the rest of the family, and on 5th November 1926 Mary Ellen and the remaining children boarded the SS Minnedosa at Cobh to leave Ireland for the final time. They were 19-year-old Thomas, 18-year-old Maureen, 16-year-old Joseph, 11-year-old Michael, 9-year-old Edward, 7-year-old Francis and 4-year-old Henry. Through the late 20s and 30s the Sheehans became imbedded in Canadian life and took up citizenship. The children were well-educated in the local Catholic schools, and James operated his own store. With the outbreak of war in 1939, a number of the Sheehan children began to turn their thoughts to military service. Ultimately the majority of them did so– for example Thomas saw service with the 4th Battalion of The Canadian Scottish Regiment, while Michael went to sea with HMCS Laurier. For the three youngest Sheehans though, there was only one branch for them. Edward, Francis (Frank) and Henry (Harry) all set their sights on the skies. Perhaps mercifully, by the time all three were deployed for active service their mother Mary Ellen had passed away, dying on 6th May 1941. Their father James would afterwards remarry. 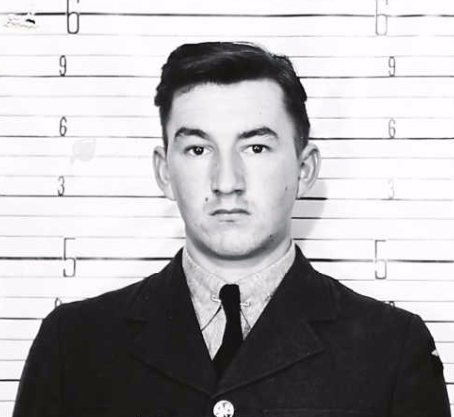 Harry was the first to head for England to finish his training, arriving in the middle of 1942. He would serve as a Warrant Officer. Frank, a Flight Sergeant, arrived on 30th November 1942, with Edward, also a Flight Sergeant, disembarking on 4th June 1943. 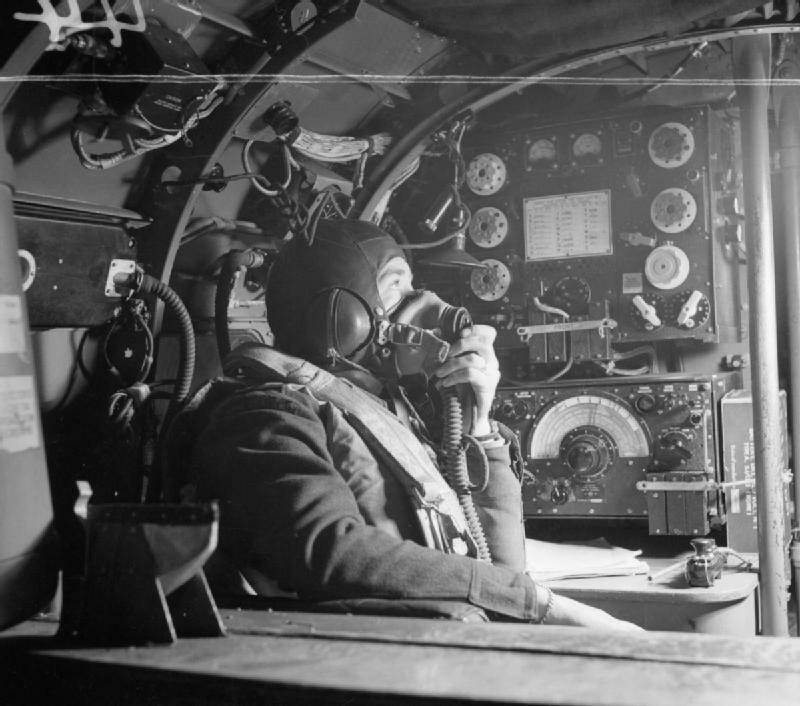 Just before Edward left to cross the Atlantic, Harry had set off on a mission with Bomber Command. He was serving as the Wireless Operator and Air Gunner on a Lancaster Mark I of 57 Squadron, based at RAF Scampton in Lincolnshire. 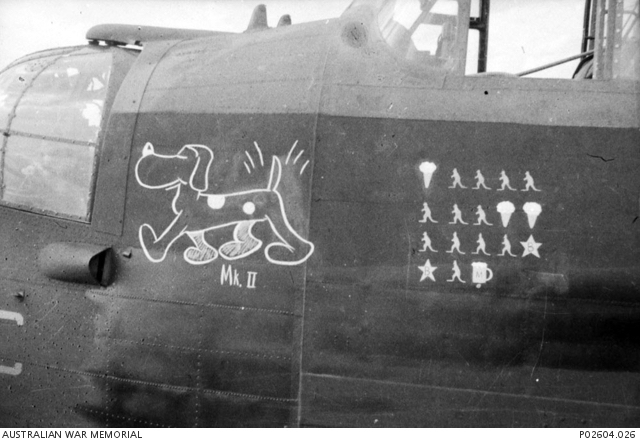 On the night 12th May 1943 Harry’s plane– ED778– was part of a mission to attack targets in Duisburg, Germany. On their return from target in the early hours of 13th May 1943, ED778 was jumped by a Luftwaffe Nightfighter, and brought down near Netterden in the Netherlands. 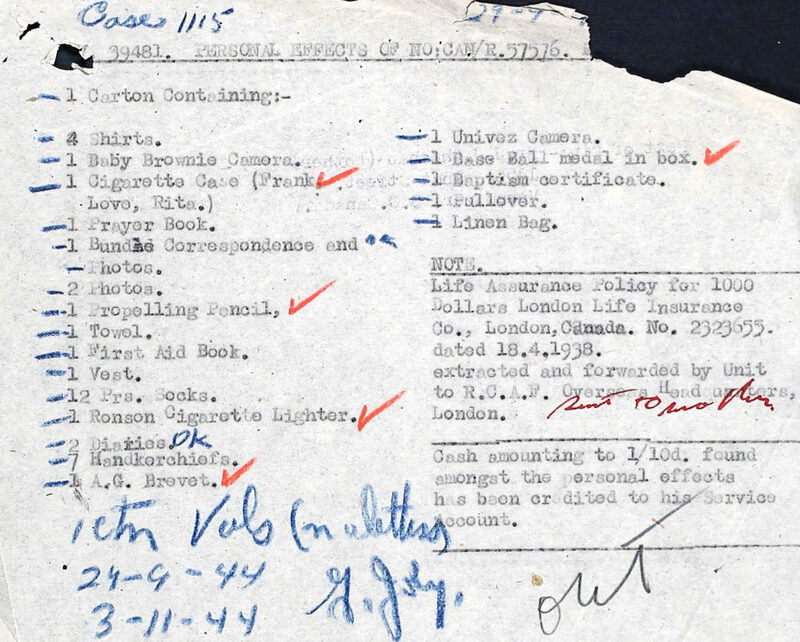 It would be many months before Harry’s status was changed from missing to presumed dead, but the youngest of the Sheehan emigrants to Canada was dead, at the age of just 24. Today he rests in Gendringen Roman Catholic Cemetery in the Netherlands. Whether Edward and Frank had an opportunity to meet in England after they learned the fate of their brother is unknown, as both were serving with different units. Like Harry, Frank was on Lancasters. 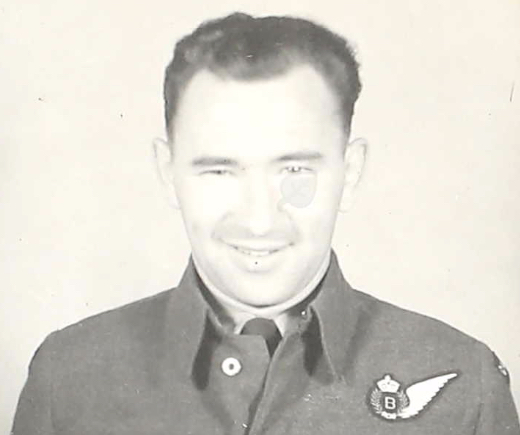 He was an Air Gunner on a Lancaster III, JA856, part of 460 Squadron. They were based at RAF Binbrook in Lincolnshire, only a few miles from where Harry had been. At the start of October 1943 Frank and his comrades were ordered on a mission to target Munich, and never came home. JA856 came down near the German town of Oberhaching on 2nd October 1943, with 26-year-old Frank one of the crew killed. Though he was presumed dead after a few months, it would not be until after the war that his precise burial-place became known (in 1948). Today he is one of the Allied airmen interred in Durnbach War Cemetery, Germany. Edward, the eldest of the three brothers but the last to deploy, was now the last left alive in the air force. One can only imagine the impact Harry and Frank’s death had on him, not to mention his father, mother-in-law and other siblings. Edward could count himself fortunate though, as he was not alone. 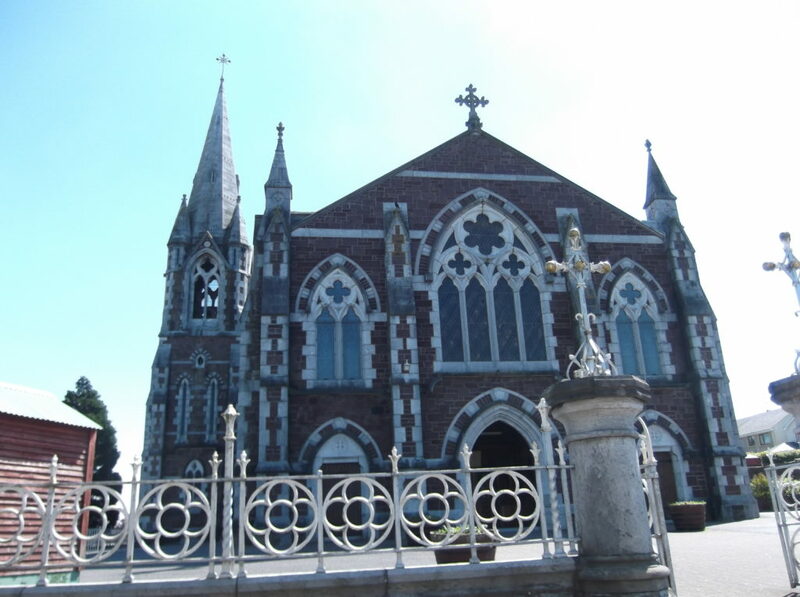 He had found love in his time in England, and perhaps influenced by the realisation of how short life could be the couple decided to wed. Edward Fanahan Sheehan and Mary Webb were joined in marriage at Our Lady of Lourdes & St. Michael Church in Uxbridge on 20th October 1943, less than a month after Frank’s death. It would have provided some light in the lives of the wider Sheehan family, but more tragedy proved all too close. On 12th January 1944 James Sheehan, who had suffered from ill-health for a number of years, died. The medical report gave the cause of death as a “cerebral haemorrhage, hypertension and arterio sclerosis.” One can but wonder what impact the loss of his two youngest sons must have had on the 60-year-old Irish emigrant. Unlike his two brothers, Edward was assigned to serve on a Halifax. He received a leave in February 1944, likely spent with Mary, before heading to RAF Snaith in Yorkshire and deployment with 51 Squadron. 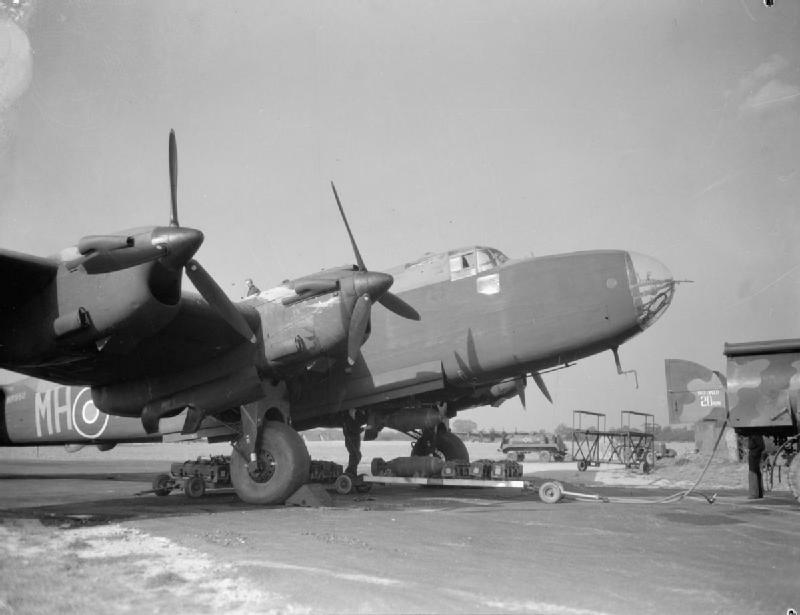 Shortly before midnight on 27th April 1944 Edward’s Halifax LV783– piloted by a fellow Irishman, Patrick Keenan of Frenchpark, Co. Roscommon– took off. Their mission was to target railway yards in Montzen, Belgium. 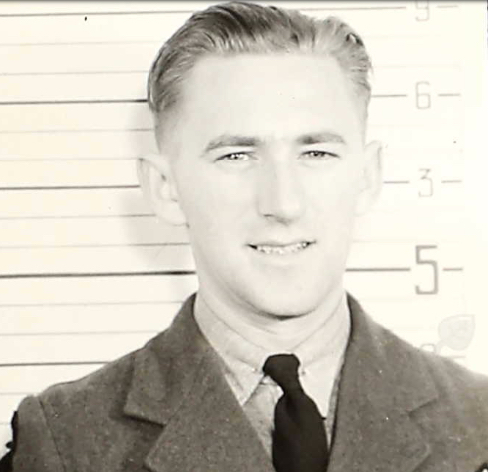 Edward was serving as the crew’s Bomb Aimer. They were shot down by the Germans some 2km south-west of Rosoux-Crenwick between 2.30 and 3am on the morning of 28th April 1944. Like his brothers, Flight Sergeant Edward Fanahan Sheehan was initially reported missing. He was listed as “missing believed killed” in July 1944, and “presumed dead” by January 1945. A few months before this date Mary had given birth to the couple’s son, Michael John Sheehan. The father that baby Michael would never know had been 29-years-old when he died. His remains rest today at Heverlee War Cemetery in Belgium. I’m writing you in regards to one of my brothers who was lost over here, as far as I know we haven’t received any confirmation as to where he was buried. If at all possible I would very much appreciate such information. We received information as to where my other two brothers were buried W/O H.A. Sheehan R81445 & F/Sgt E.F. Sheehan R172051. I went to visit both their graves & I wasn’t very impressed at what I found. I found where my brother E.F. Sheehan is supposed to be I found the grave no. (457) you gave, it had no rank & the name was R.C. 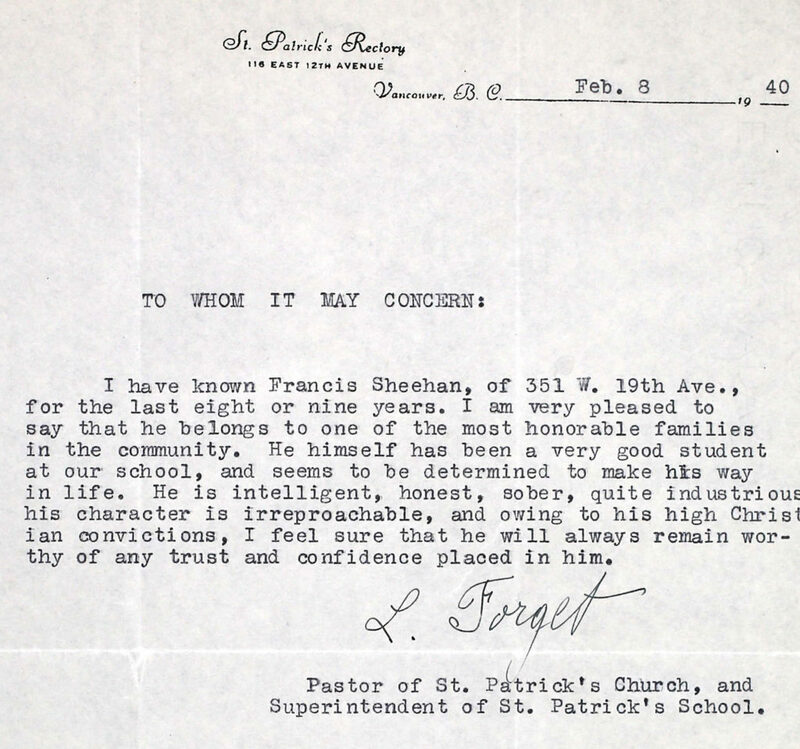 Sheehan, which corresponded with the record they had in Brussels. By any chance could there be a mistake. At the grave in Gendringen Holland where my brother H.A. Sheehan R81445 is buried according to your records, I found only two Canadian graves six in one grave & three in the other. The grave with six in, there were four unknown, of which one must be my brother. Could you give me some more information in regards to it please. The brother which I mentioned in the first of my letter is F/Sgt F. Sheehan R57576. 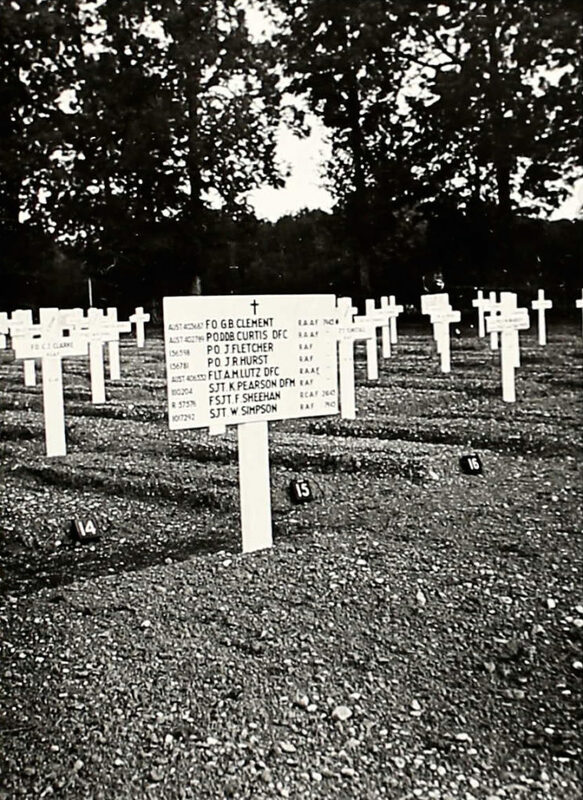 In Brussels they only had the records of the grave which had the name R.C. Sheehan, that was in St. Trond Belgium. Would you be so kind as to let me know as soon as possible any information you have. The “R.C.” mistake on the grave was apparently a result of the burial party mistaking Edward’s religious denomination “Roman Catholic” for his initials. Thankfully all issues were eventually resolved and each of the three brothers received their appropriate permanent memorials. The horrors that the Sheehan family experienced between May 1943 and April 1944 are unimaginable. In less than 12 months four were dead, three in air combat over Europe. It is hard to process the realities of what it meant to have “laid so costly a sacrifice upon the altar of freedom.” We tend to pay less attention to those Irish emigrants who saw Allied service outside British forces during the Second World War. But thousands of Irish-born men and women took on the Axis wearing the uniforms of other countries, such as Canada, the United States, Australia and New Zealand. It is appropriate that we in Ireland remember Harry, Frank and Edward, together with all those other Irish emigrants who made the ultimate sacrifice between 1939 and 1945. Note: If any readers have further information on the Sheehans, or anything to add to their story, I would be very eager to here from you at irishamericancivilwar@gmail.com. What a heartbreaking and moving post. How do people go on after something like this? Do you know the story of the five Sullivan brothers who went down on the same ship during WW2? 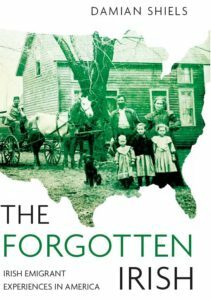 They were born in the US and their family were from Famine-era Irish immigrants. What a heartbreaking story 🙁 Almost an entire family wiped out. I just can’t imagine the pain. Thank you for the research you do to get these stories out there for remembrance! Of the five Irish American, Malay Brothers, of WNY- 2 were killed in Europe while the other 3 (Twin Brothers serving together in the Marines and younger brother serving in the Navy on the PT boats ) served and fought in the Pacific and survived the war. Later serving in different capacities during Korea in the Marines….